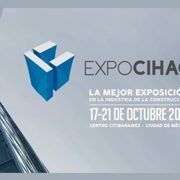 JCM will participate at EXPOCIHAC 2017, the leading trade exhibition in the construction industry in Mexico. Our presence at EXPOCIAH will provide greater brand exposure, enabling us to present exclusive JCM products for the Latin American market, and support our international expansion. Visitors will also have the opportunity to meet our new JCM distributor in Mexico, Mauricio Hernández. 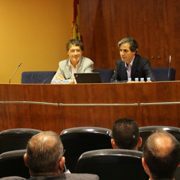 On 7 June, the APA (Spanish Association of Automatic Door Manufacturers) held a talk in Barcelona on internationalisation in the automatic door sector. Lucas Olmos and Pere Coma, JCM Marketing Director and Sales Manager respectively, spoke about the company’s entry in the Latin American automatic door market. The event was organised by the APA, FIPA (Automatic Doors International Fair), AIDIMME Technology Institute and ARVET (Transformer Exporter Group).